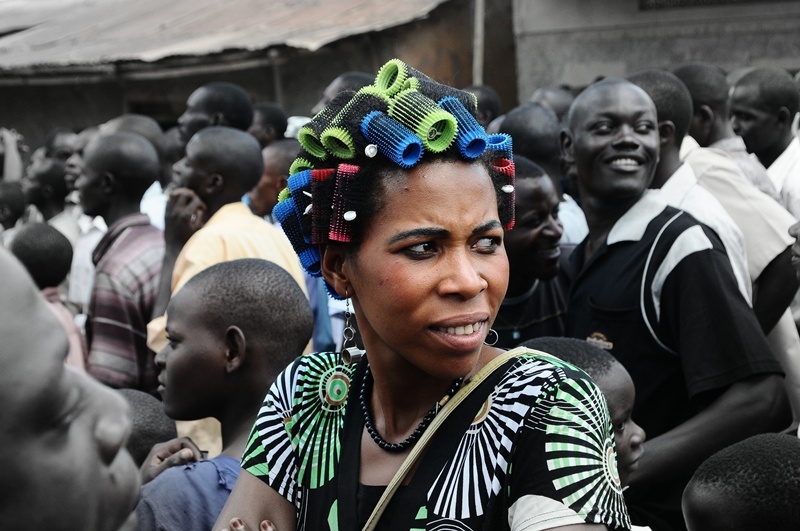 Imagine a Uganda Without Fish…Yes, Without Fish!! Most of the day was not adding up. First, our driver hurried us to prepare for take-off, only to wait about two hours before the actually departure for the third leg of Kiiza Besigye’s tour of the Southern region. The sun was so bright, meaning countless and boring shadows. The organisation in some of the villages we visited in the morning was not good. In some areas, we drove into centres who just didn’t have an idea that we were making a stop-over. 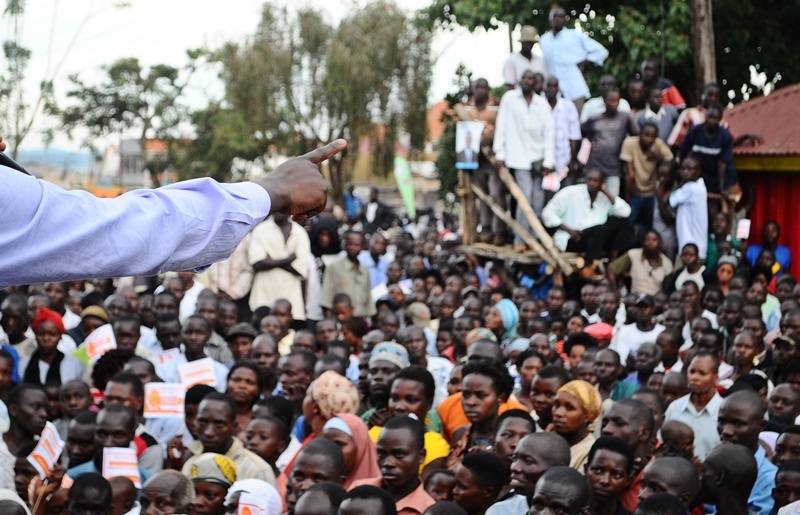 But quickly, crowds gathered the moment Besigye emerges from his open roof land cruiser prado. Day thee took us to Kyotera and Rakai districts. We went as far as Kansensero landing site which borders Tanzania. This was where all the fish mongers made our day. 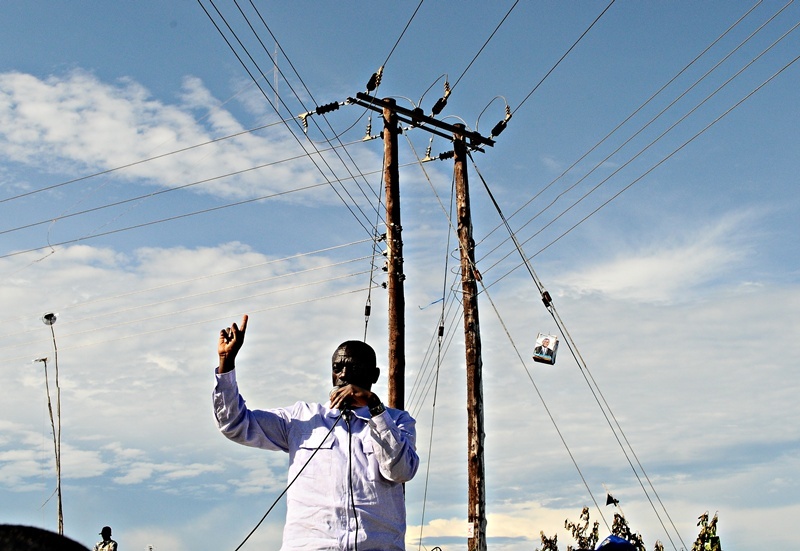 They jumped, danced, shouted and carried green leaves running up and down the moment we made a grand entrance.It’s where i got a good portrait of Besigye under electricity poles. Final stop: Kyotera town where we found thousands of supporters waiting, It was worth for the Besigye who clearly had had a long day. Some of the places we visited had just one access route that meant on finishing the visit, we took the same road back before branching at some point. Day ends about 7:15 pm as Besigye heads for an appearance on Top Radio. 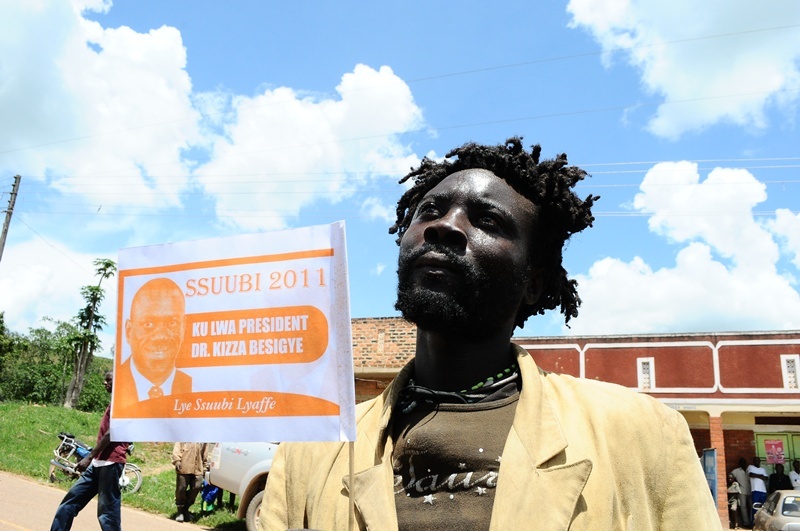 It has been the routine since he staged camp in Masaka. 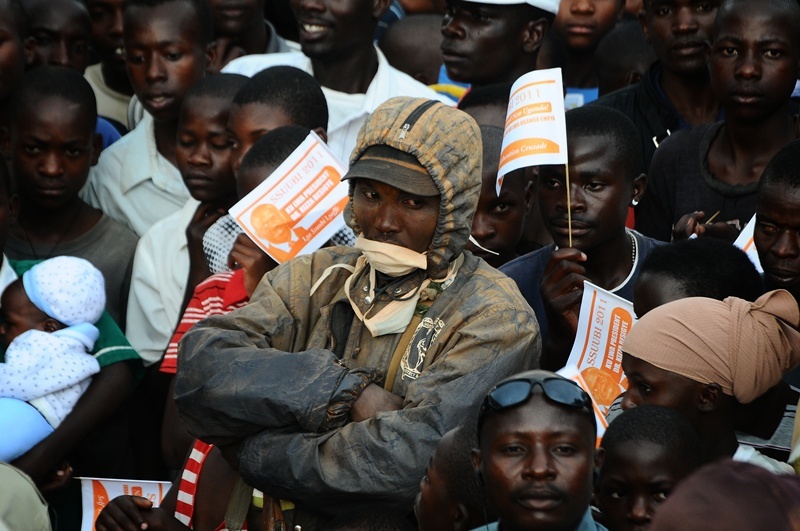 He has appeared on different radio stations in Masaka every evening after campaigns. …and am off to clean up….but in one: It was one of those burren photography days full of frustrations. Good job buddy…suddenly, I follow a blog. You’re right on the money!! The first one and the rastafari, we gotta talk! Man, you are having a ball and a whale of a time! I wish there were more journalists on the trail blogging as well. Thank you for these, Edward! Iwaya, am giving this the best i can. It’s not easy though. You really have to be smart to avoid repetition.Am glad i have an addictive fan already..Spread the word..
All Images published here are property of Edward Echwalu unless where indicated. They may NOT be downloaded or reproduced in any way without the written permission of Edward Echwalu.